I am passionate about educating buyers and sellers and I strongly believe every transaction should receive the best service imaginable. We focus on making other peoples' dreams come true! Me apasiona educar a compradores y vendedores y creo firmemente que cada transacción debe recibir el mejor servicio imaginable. ¡Nos enfocamos en hacer realidad los sueños de otras personas! Create a free account to save your favorite properties and receive email notifications for newly listed properties. Let's connect you to a preferred lender who will put you in the best position to submit a winning offer. Sign up for market information regarding your desired neighborhoods. 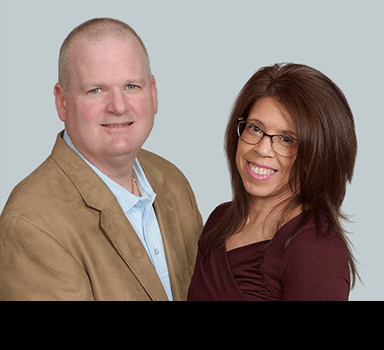 "Gloria and Jeff are an amazing real estate agent team when they helped us find our dream home. Their attention to detail and knowledge of the market was incredible. Gloria and Jeff never left any questions unanswered and always responded promptly. We whould highly recommend them to anybody who would like to buy or sell their house. You will receive the best friendly service in town. Thank you for getting our dream house."